The mobile management space, including mobile device management (MDM) is relatively young, just like the mobile devices they are counted on to take care of. But these areas are maturing as the technologies get better and vendor choices widen. Fujitsu (News - Alert) is developing a richer mobility picture and this week announced new enterprise-class services around Citrix software. The new approach comes in the form of upgrades to the four-year-old Fujitsu Managed Infrastructure Service Managed Mobile. Fujitsu uses roles to help define how its tools are managed, deployed and secured. The company claims its holistic approach to managing smartphones, remote PCs and tablets is better than a device-centric approach. Like all major mobile device management players, Fujitsu sees a huge opportunity in the burgeoning use of BYOD. 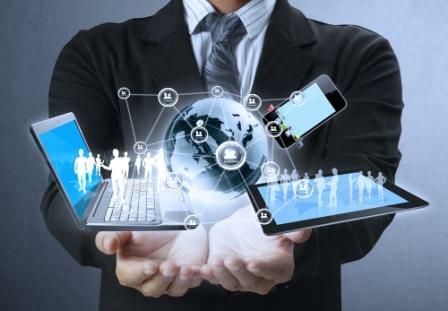 Almost by definition, BYOD machines are mobile, or are at least connect to the corporate network differently than in-house PCs. Many shops are trying to decide if they should say yes or no to BYOD. They should never say maybe because this technological gray area lets in all the risks without any of the protections of a good BYOD policy and BYOD tools such as MDM. You probably can’t say no even if you wanted to. According to Forrester (News - Alert), some 37 percent of U.S. information workers in the U.S. already use their own devices – without corporate permission. Forrester also argues that by 2016, 200 million people will bring their own devices to their companies. Fujitsu didn’t exactly build its Managed Mobile from scratch, but instead uses Citrix XenMobile Enterprise as the main engine. “This technology also allows Fujitsu to integrate with other virtual desktop solutions, enabling seamless access to information across the business that is synchronized and uniformly presented, irrespective of the user’s chosen device, operating system or location. Importantly, Managed Mobile securely segregates personal and corporate data, and so reduces the likelihood of corporate data loss,” Fujitsu said. Citrix built its technology with partners like Fujitsu in mind. “Customers are looking for solutions to address their enterprise mobility needs. Fujitsu’s Managed Mobile provides the functionality customers need for device, application, data and network management and security, using Citrix technologies, now including XenMobile. The combination of Citrix mobility, app, desktop, data and networking solutions with Fujitsu’s mobility service know-how ensures reliable mobile IT and satisfied users,” said Amit Pandey, vice president and general manager, Citrix Mobile Platforms group. Today Fujitsu says its mobile tools range from MDM right up to what is calls a complete and true Mobile Enterprise Solution. “Mobile device management with secure mail, browser and document management applications, across all applications (mobile apps, Web apps, Windows apps) and for all devices (mobile, PCs and Macs). Citrix as the key underlying technology – currently, the myriad aspects of mobility (management, network controls, virtualization, integration, collaboration) are addressed by multiple point solution vendors. By building on the Citrix platform, all aspects are integrated under the optimized mobile infrastructure. One customer is happy with what he has, and looking forward to more. “Fujitsu already manages and supports our IT infrastructure and it made perfect sense to expand the portfolio with Managed Mobile from Fujitsu. As a global producer of aluminum, this solution provides us with the mobility demanded by our business,” said Torstein Gimnes Are, Head of Infrastructure Services, Hydro. IDC (News - Alert) sees the mobility space as heating up, but counsels customers such as Are to take it carefully. “Businesses need an enterprise mobility solution because it's easy to get caught up in mobility technology itself and the eye-popping applications and functionality that can be rendered via a mobile form factor. Keep your focus on the business problem that enterprise mobility is helping to solve, and start with the end result of what you are seeking to develop,” said Gard Little, research director at IDC. Fujitsu picked a good time to expand its footprint in Managed Mobility Services. Gartner (News - Alert) recently analyzed this market and sees it in the early stages. In fact in its Managed Mobility Services Magic Quadrant, not a single vendor made it into the leader’s portion. Instead all 18 vendors profiled were clustered in the niche and visionary squares. First, let’s get our definitions straight. MDM is software that manages the endpoint BYOD devices, making them secure and in many cases separating apps and data on the BYOD machine based on whether it is for work or pleasure. The key difference, it seems, is who offers the services. MMS is clearly a set of services. MDM is a tool that can be used by IT or a service provider. When MDM is offered as a service, does it become MMS? Where Gartner focuses on MDM and MMS, IDC looks at MDM and mobile application management (MAM). “In recognition of the growing convergence between the mobile device management (MDM) and mobile application management (MAM) markets, IDC is now producing an annual forecast and analysis document that combines the two markets into a new market called mobile enterprise management (MEM) software,” IDC explained. Two years ago the global MEM software revenue was $444.6 million. This market will grow 31.8 percent and will hit $1.8 billion in 2016.